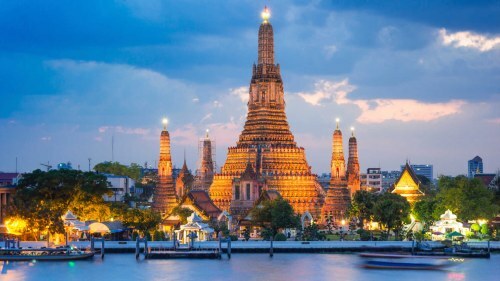 China Eastern has dropped the price of their flights from Vancouver to Bangkok, Thailand down to $584 CAD roundtrip including taxes. 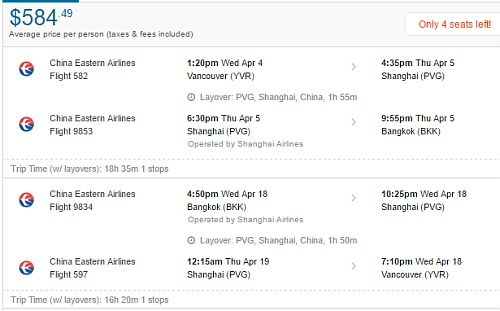 The flights have 1 stop each way, in Shanghai, China. Try starting with a Wed to Wed date search in one of the months listed above. NOTE: After your Flighthub search completes, click on 'Flexible Dates' to see a lot more dates for $584 CAD roundtrip. The fastest flights I've seen for this price have about a 2 hour layover each way. TIP: After your Momondo search completes, click on '1 stop only' on the left hand side. vancouver, yvr, flight deals, china eastern, bangkok, thailand, southeast asia and bkk asia.